By approaching Chicana/o issues from the frames of feminism, social activism, and cultural studies, and by considering both lived experience and the latest research, Torres offers a more comprehensive understanding of current Chicana life. Through compelling prose, Torres masterfully weaves her own story as a first-generation Mexican American with interviews with activists and other Mexican-American women to document the present fight for social justice and the struggles of living between two worlds. "Eden Torres is a bold, astute storyteller who makes conscious links between global politics and Chicana feminism. By challenging conventional notions of multiculturalism, internalized dominance, and imperialism, she provides an exceptional cultural critique that promises to be a fundamental text in many classrooms and communities." "In this intelligent and eloquent book, Eden Torres asks and answers hard questions about the impressive legacy and enduring relevance of Chicana cultural studies." 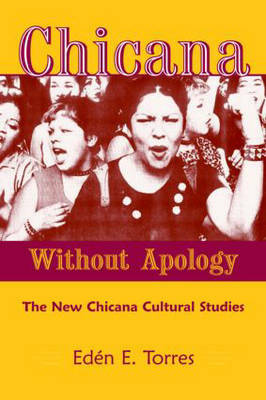 ""Chicana Without Apology is a powerful book that hooks you with a sharp critical edge while making corazon-felt connections. Torres approaches emotional suffering from a sociohistorical perspective, but she's not afraid to put herself in the theory. Her poignant and concrete exploration of wounds, cumulative losses, unresolved grieving, and historical trauma--the legacy of colonization--enables a reshaping of collective memory, making this a definitive text in Raza Studies, and a must read for all teachers, scholars, and activistas. Orale, Eden."